My outdoor spaces look so sad. The Christmas decorations are gone, packed away until next year. All my potted plants and flowers are dead or wintering in my garage. The lull between Christmas and spring means a long span of dull looking lawns and little color. It’s still too soon to start planting flowers (there’s always that last snow or freeze!). I am improvising by making my own colorful porch decor. This space looks so much cheerier now! I used a non-fraying fabric from Fairfield World called Oly-Fun. 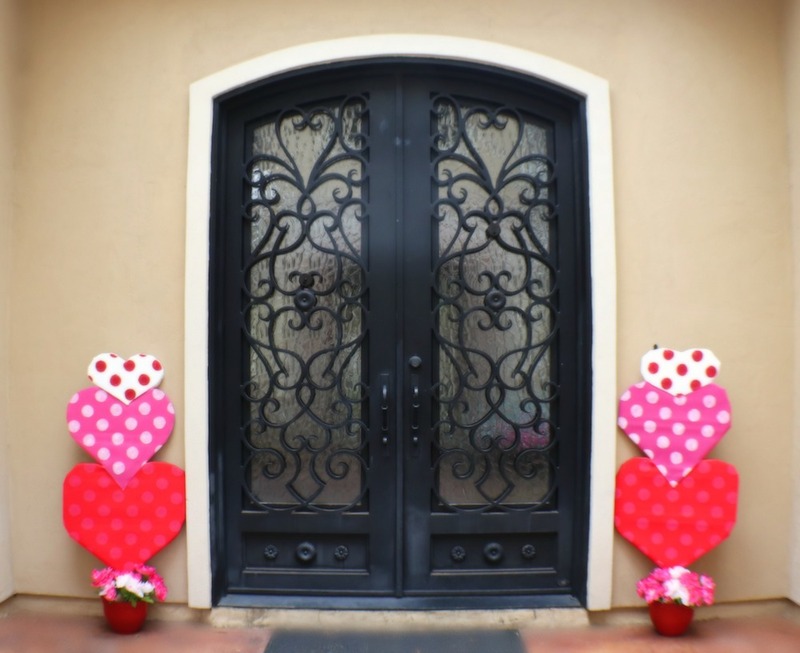 You can use Oly-Fun the same way you craft with paper, with the added bonus that it is more durable and won’t fall apart in the rain. As a matter of fact, it has rained almost every day since I put this decor out and it still looks like it is new. Oly-Fun is only meant for temporary use, so be aware that items like the pillows may not hold up and be reused next year. I like to change things every year, so that doesn’t bother me at all. Since I have bolts of Oly-Fun I can create lots of projects. I created this project for Fairfield World, and you can get all the details on their website. 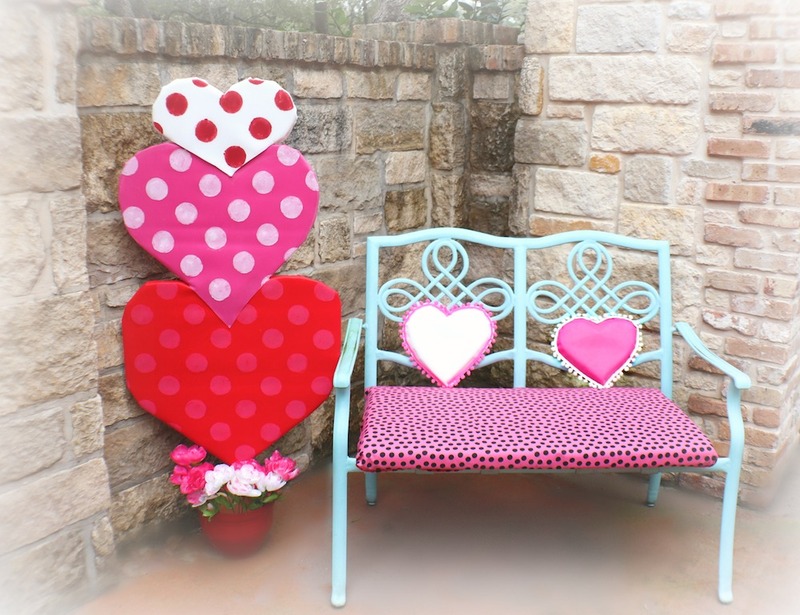 Click HERE to see step by step instructions for this fun Valentine porch makeover project. I share pictures of each step, plus there are links to the Fairfield World products, like Oly-Fun and cushions, to make it easy for you to shop. I’ve even got a video on their site so you can see how to make this project. While you’re there, be sure to check out all the great project ideas! 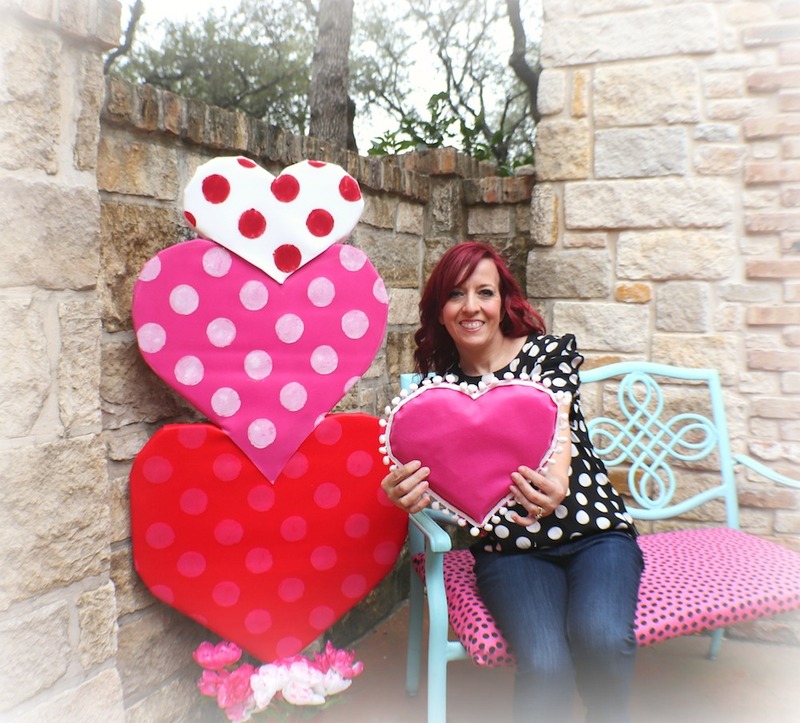 Have fun crafting and creating!